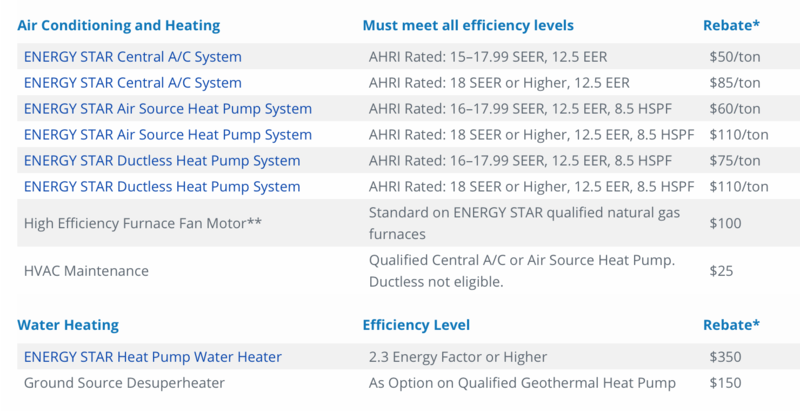 If you're thinking about one of our energy-efficient systems for your home, your taste is impeccable and so is your timing. After all, you don't want to spend another season wishing you had a better home comfort system. Qualify for 0% financing for 36 months of equal payments or earn up to $1,650 with our Cool Cash rebate offer. Homeowners may qualify for a Cool Cash rebate by purchasing qualifying Carrier equipment between August 27th thru November 15th, 2018. Your Carrier expert must be a participating Cool Cash dealer. Ask your dealer for more details. 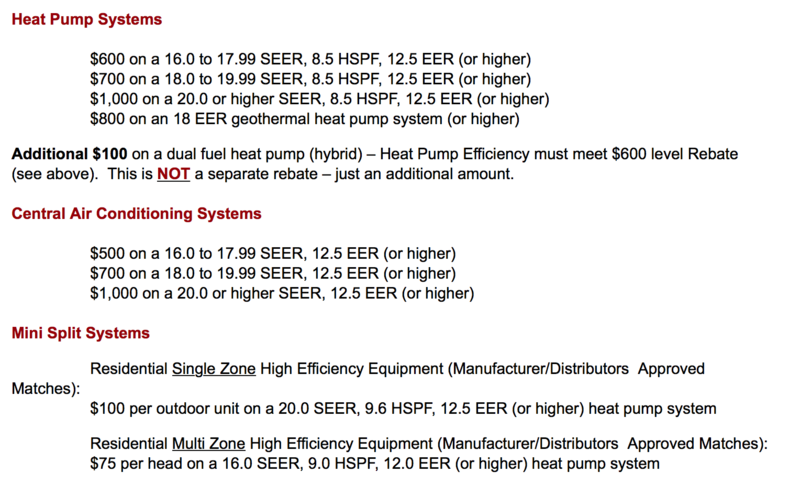 Up to $400 for a multi zone heat pump or $200 for single zone. Please call our office for further details on the program. Please note: only one rebate offer per purchase. This offer is only valid from August 8th, 2018 – November 4th, 2018. All work must be completed during this time frame. Contracts must be signed on or before November 4th, 2018. Certain restrictions apply and only select models are eligible. Call us today for more details! 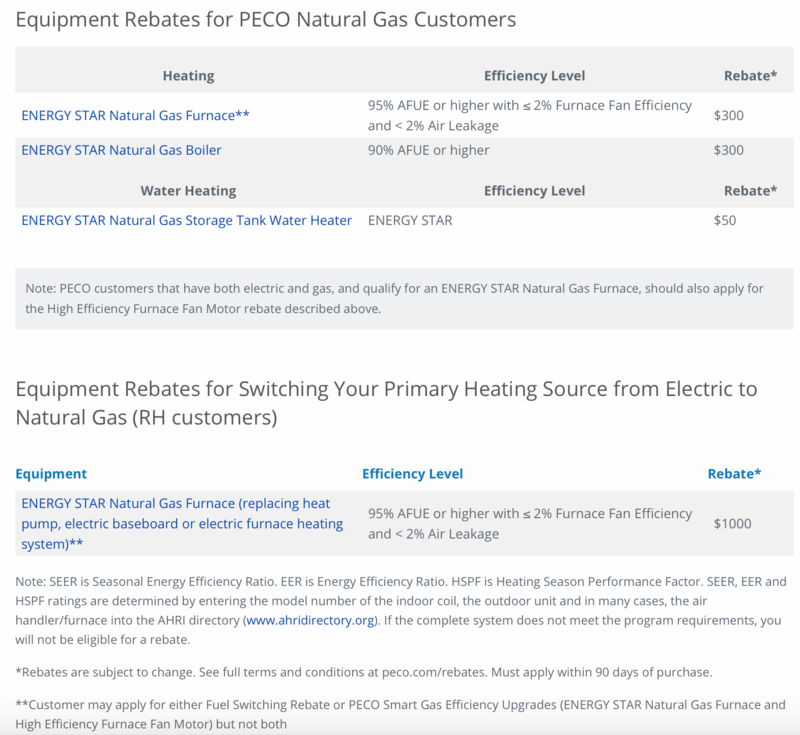 Please note: may not be combined with manufacturers rebate but can be combined with PECO rebates.